Governor Bruce Rauner spoke to a group of suburban mayors Saturday about the challenges the state faces. 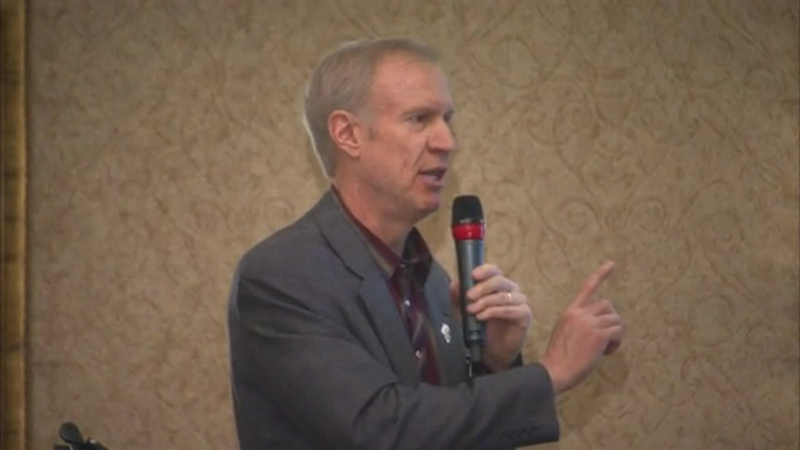 NORTHBROOK, Ill. -- Governor Bruce Rauner spoke to a group of suburban mayors Saturday about the challenges the state faces. He says those challenges include large numbers of people leaving Illinois and high property taxes. At the gathering in Northbrook, Rauner told the mayors he wants to work with them as "partners." After wrapping up the meeting, the governor loaded his family's dogs into a van and drove them to Springfield.